The second-gen models might solve all the problems we had with the first Compute Stick. 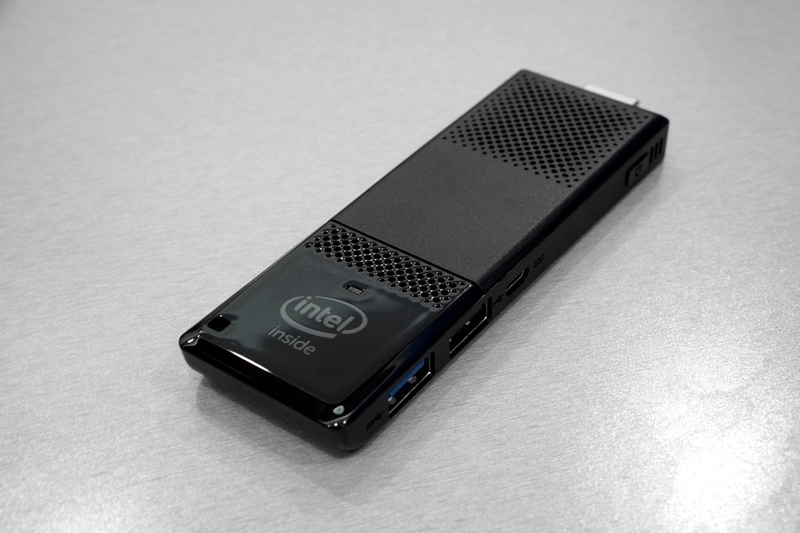 As a concept, Intel's Compute Stick has always been intriguing. Who wouldn't want an HDMI stick that turns any monitor into a fully functioning computer? But the original Compute Stick had problems: It was slow, it had only one USB port (how are we going to plug in a keyboard and mouse?!) and its networking capabilities were weak. It was, in many ways, a beta product — not something meant for consumers to buy. But with the next generation of Compute Stick, it looks like Intel has addressed all of our concerns. On the networking front, the new Compute Stick supports 802.11ac and has a 2x2 antenna array, which should make it far better at handling gobs of wireless traffic. After struggling with the original Compute Stick, the new model actually sounds like something I might be able to use for basic computing. But Intel wasn't content just to slap in a new Atom chip: It's also adding two new Compute Stick models with sixth-generation Core M3 and M5 chips. They look pretty much the same as the Atom Compute Stick, with a few slight changes: They pack in 4GB of RAM and 64GB of storage, and there's just one USB port on the stick itself. Intel added two additional USB ports on the power charger, so don't fret about not being able to plug in all of your accessories. Intel says the Core M3 model will be able to spit out 4K video at 30hz, and on the whole it will be a far more powerful performer than the Atom model. The Core M5 model also supports Intel's VPro technology for hardware-level security. The Core M3 Computer Stick will sell for around $399 with Windows 10, while the M5 model will sell for $499 with no OS installed. Design-wise, Intel refined the shape and feel of the Compute Stick's case with the new model. It's mostly matte plastic now, and it sports more clean lines and rounded corners. While the first model felt like it was designed purely by engineers, the new one feels as if an actual designer took a crack at it. The Compute Stick still features a tiny fan to dissipate heat, and you probably shouldn't hold your breath for a purely passive cooled version. "Go buy a passive stick and tell me what you think," Intel's John Deatherage said. He noted that plenty of competitors are giving up on passively cooled computing sticks. While stick computers don't generate much heat, an active fan is still necessary today to keep them from overheating due to their tiny frames. As for power, the new Compute Sticks still rely on a separate AC adapter. Current USB ports on TVs and HDMI ports that support the MHL standard don't output enough power to keep the Compute Stick going. Intel says it's keeping an eye on the "superMHL" standard, and it might even consider power over USB-C eventually. The Atom-powered second-generation Compute Stick is in production now, so you'll see it in stores soon. The Core M3 and M5 models will start production in February.